In life, it is more than just reaching the goal of 10,000 steps – this is the motto with which the company Tikker is currently presenting its fitness bracelet LifeFX on kickstarter. The wearable is not exclusively focused on counting steps and calculating the calorie consumption. On the Crowdfunding platform as many as possible will be convinced by the tracker, which helps to better habits and also motivates to use the remaining lifetime as effectively as possible. It may sound a little macabre when the remaining lifetime is discussed. The Tikker LifeFX is, however, in fact capable of calculating the statistical life expectancy of its wearer by means of age and physical attributes. The fitness bracelet does not matter how old the user is, but what he does with his time, developer Tikker makes clear in the product description. Accordingly, the Wearable LifeFX is designed to help lessen vices such as smoking or alcohol consumption. Healthy eating, social contacts, training and physical activity – these are the goals that the Tikker fitness bracelet will help to achieve. In the related app, which can work with both Android and iOS, these objectives are available. In addition, the user can see there the remaining days of his statistical life expectancy. The LifeFX Fitness Bracelet may provide an incentive to make the appropriate time as effective and healthy as possible. 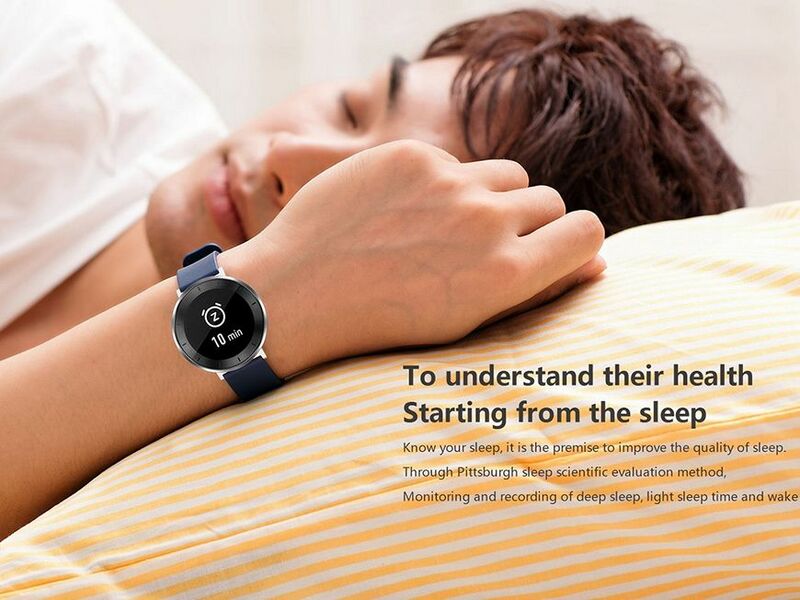 In addition to all these motivations, the watertight tracker also features all the typical functions, including the recording of physical activity, sleep monitoring and a movement reminder. What happens on the mobile phone coupled via Bluetooth 4.0 brings the LifeFX as well to the wrist. The recharge time is indicated with 14 days. If you are interested in this new fitness bracelet, you can pre-order it for a minimum of 79 US dollars, which is about 75 Euros on kickstarter. The delivery of the LifeFX will take place in February 2017.